I write magical realism, alternate history novels, health related and children's books. Growing up my Dad and I called us "closet readers" because Mom didn't value books that much and was very quick finding some chores to do when she caught us with a book in our hands. Tell something not to do to a creative person and they will find a way to do it. Mom was satisfied that I studied for hours every day never knowing that hidden inside the textbook I was turning the pages of Dumas' Three Musketeers and my other treasured books. 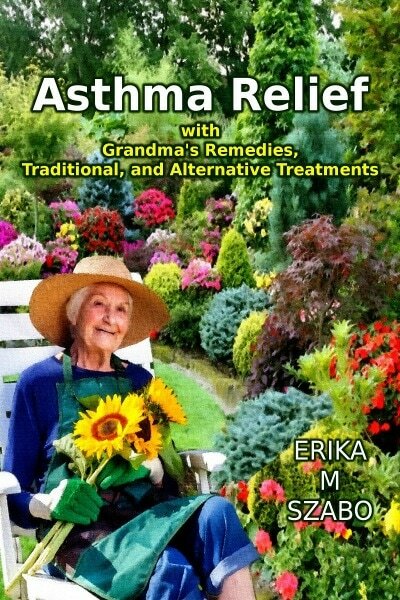 I started writing health related articles to a newspaper about eight years ago after I got my Ph.D. in Alternative Medicine, and I published two books in Hungarian and Asthma Relief With Grandma’s Remedies in English. 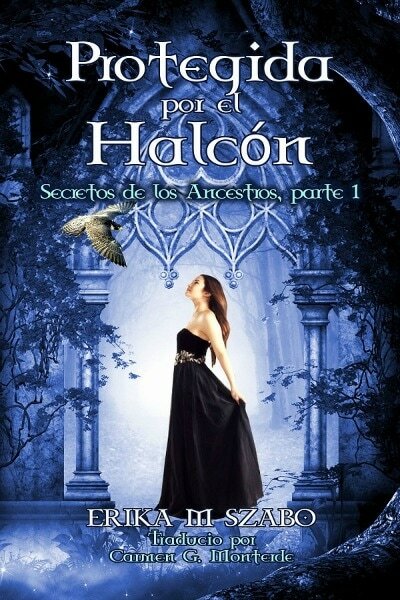 I started writing The Ancestors' Secrets series: Protected by the Falcon and Chosen by the Sword about four years ago which is alternative history combined with a love story and magical realism elements. I used my fertile imagination to create a fantasy world by using Hun historical facts. The idea to write children's stories came to me after I watched a family in the store. The grandmother had difficulty hearing and my heart ached to watch the expression of anger and pity on her daughter's face as she rolled her eyes when she had to repeat everything to her mother. The little girl, following her mother's example, mocked the old lady and laughed at her. 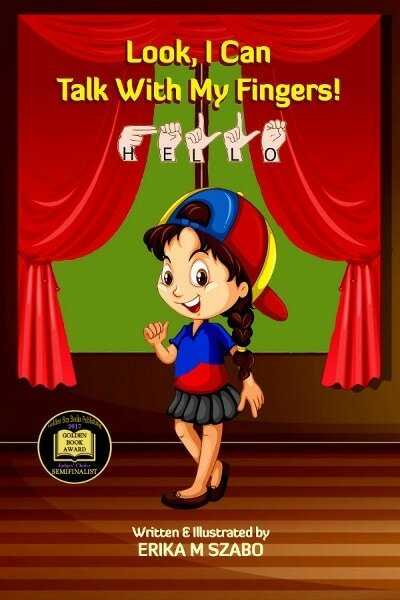 I wrote and illustrated Look I Can Talk With My Fingers and made the character of the little girl to be loving, inventive, and compassionate. This book is available in Spanish as well. 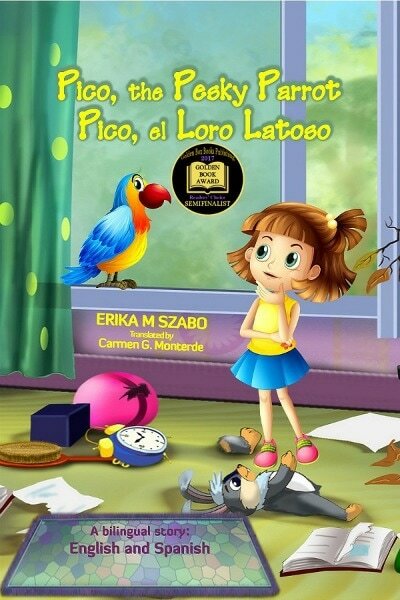 My next bilingual children's book was Pico, the Pesky Parrot. 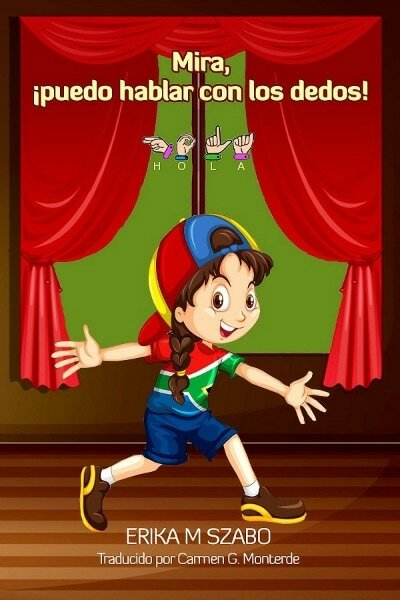 The story teaches children to take time and get to know people before they quickly judge them because of their cultural background, language barrier or disability. 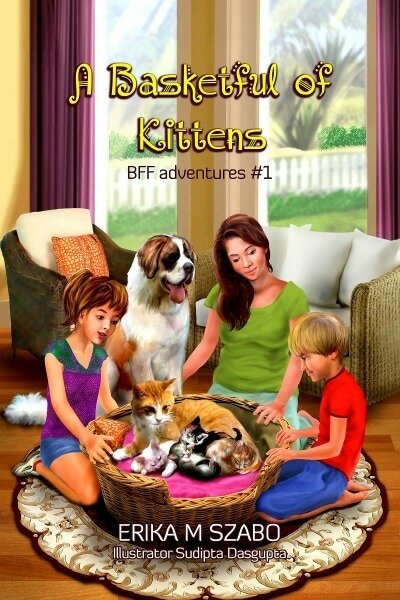 A Basketful of Kittens is a true story that happened to me and my best friend when I was a little girl. A cruel neighbor tried to drown her kittens in the river and with the help of my dog, we saved them. The idea for Terry and the Number Fairy story originated from Mom's favorite saying when I had difficulties understanding numbers, "Sleep on it and you will know it in the morning." Sleep learning is a fact when our brain organizes things we learn while we sleep, but in the story, the Number Fairy helps Terry. 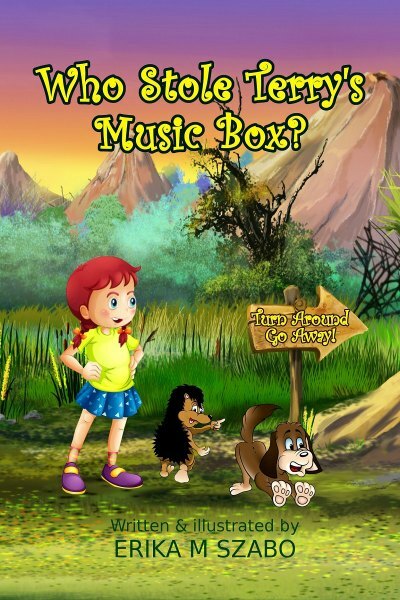 Who Stole Terry's Music Box also teaches children about using their imagination, compassion, friendship, and listening and understanding others. MeToo, the Annoying Little Sister is about the complicated relationships in the family, the rivalry between siblings, yet helping and loving each other. Morana waited centuries for the chance to reunite with her beloved Joland and gain the power to rule the ancient clan that still exist hidden among us with its strict hierarchy, deadly rules and traditions. 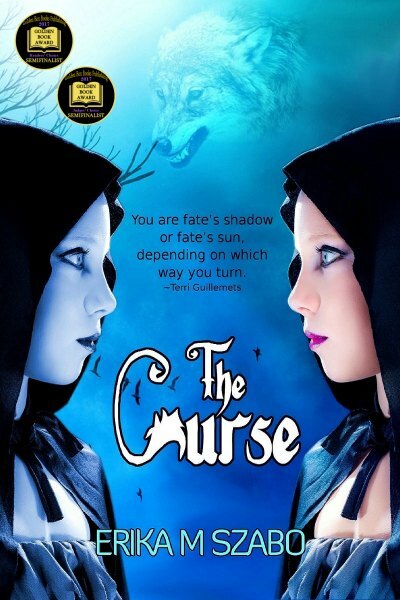 Ilona doesn’t know that she was chosen to stop Morana’s evil plan. She doesn't know about her heritage besides legends and rituals when begins to remember her mother’s instructions concealed as rhymes and is unaware that her pleasant life as a doctor is about to change and she will be thrown into a dangerous world filled with secrets. The discovery of her healing power and ability to freeze time is exciting and frightening. A sinister man appears, and Ilona connects his presence with the series of mysterious deaths around her. She has been in love with her unsuspecting best friend, but she’s drawn to the stranger that appears in her dream and confused by the sudden magnetic feeling. In book one, Protected by the Falcon, Ilona is thrust from her easy and steady life and forced to face the unknown, which prompts her to discover ancient tribal secrets. In book two, she obtains unimaginable abilities to protect her family and the future of her people. She can use her powers for absolute good or absolute evil; the choice is up to her. Ilona’s birthright as a Healer runs alongside her desires as a woman. She must sort through her feelings about the men in her life. Travel with Ilona from the time her people were nomads, to the castles of the 14th century, to present day, as she struggles to overcome the obstacles placed in her path. Sarah, Emma's mom, promised to bird-sit Pico for two weeks but soon regrets her decision because the noisy parrot keeps screeching and squawking all day, annoying her family and the neighbors. When Pico makes a mess of Emma's room, Emma gets very angry, but her friends help her. Charlotte notices that Pico seems sad, and Pedro finds out why Pico is shrieking so loudly all the time. The parrot is frustrated because nobody pays attention to him, and nobody understands what he wants. Terry is struggling to learn numbers. Pansy, Terry’s dog, and Pansy’s best friend, Oliver, the hedgehog, want to help but they don’t know how. 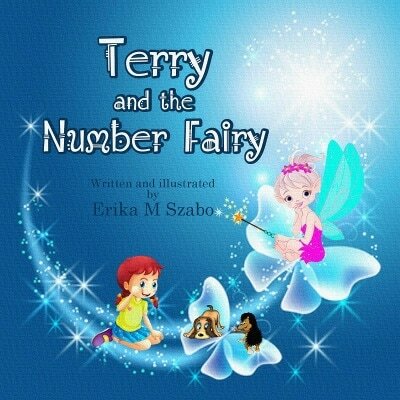 When Terry wakes up in the morning, she tells her mother that the fairy showed her the numbers in her dream. 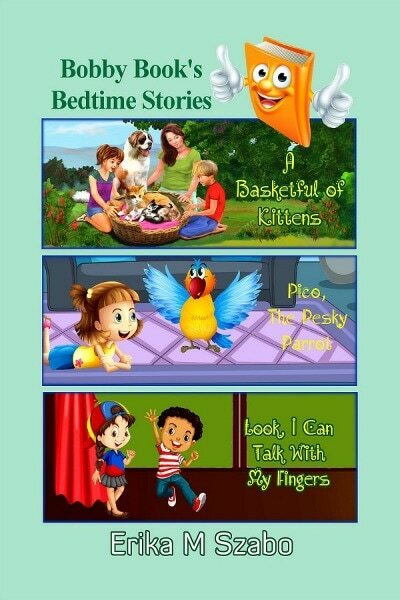 Bobby Book tells three stories about a basketful of kittens saved by BFFs from drowning, a pesky parrot that speak Spanish, and a little girl who learns sign language to communicate with ger grandmother who lost her hearing. My grandmother was born in 1892, and she suffered with asthma all her life. 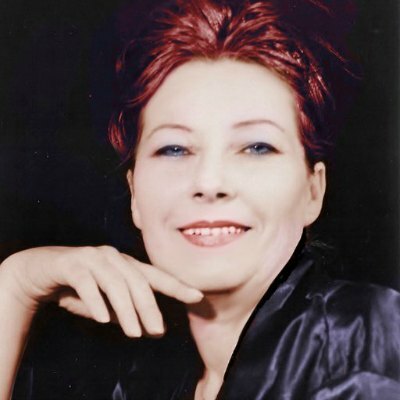 She, of course, didn’t have the luxuries afforded us by modern medicine, but she managed her symptoms well with herbs, dietary, environmental changes, and her home remedies. Grandma often took me on trips to the fields, meadows, and into the woods or along the riverside to collect herbs. Now I regret that I did not continue learning from her, after I was twelve or so. Back then—just like any teenager—I thought I was smarter and the “old medicine” was just that, old.